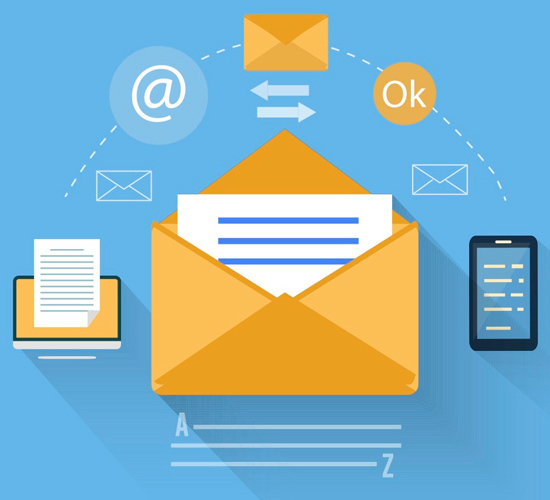 Powerful, results driven marketing campaigns require good old E-mail Marketing. Powerful, results driven marketing campaigns require good old E-mail Marketing. Email campaigns work fantastically well when you have to reach out to an extensive database of potential customers. This approach enables you to engage new potential customers and inform your loyal customers about your newest offers. However, E-mail Marketing must be strategically deployed to beat your market competition; if run blindly, your efforts will be wasted. We at WebTecMart understand the importance of creating valuable E-mail Marketing content and campaign for your valued user. Only engaging e-mail subject lines that compel your target audience to open and read your e-mails will deepen your relationship with your audience and deliver highly optimized results. Newsletter E-mails: Our team of expert Copy Writers creates informative and engaging Newsletter e-mails to inform your customers about your newest offers, sales, and current promotions. Such e-mails must have a long-term influence on your customers and therefore we give value to your readers by making the correspondence something more than regular sales messages. The presented information will benefit and entertain your subscribers. PR E-mails: : It is one of the most underutilized marketing tools. PR e-mails campaign is ideal for small businesses with a small budget. Such businesses can effectively communicate and promote their services and offerings via digital trade magazines and newspapers. We focus on creating clear, concise Press Releases that informs and compels your subscribers to visit your office or web site online. Video and Catalogue E-mails: Catalogue marketing makes use of short descriptions and images with the price. Save on the shipping and the printing costs with creative and powerful online copies. Our video e-mails combine sharp and engaging images with regular narratives. We also incorporate graphics and video footage. Utilizing our technical expertise in the field, we help you reap maximum benefits. Survey and Invitation E-mails: In response to sales promotions and events, we inspire customers to take proactive actions. Customers can visit on specific time and date to benefit from available offers on-site or at your store. We make the survey e-mails highly interactive and encourage customers to give feedbacks. We review this and use it to define procedures and roles of customer service. Thank You Mails: Such e-mails are both rewarding and compelling for subscribers. Customers feel valued. You are giving response to customer experiences and making an effort to meet their expectation. It leaves behind a positive influence and promotes brand loyalty. We customize these mails for consumers with small gestures for a huge impact. For example, as a token of appreciation, you can give someone discounts on their next purchase from your store. We can get your e-mail campaigns off the ground or give a boost to your existing efforts. To know more, call 011-9999674255.